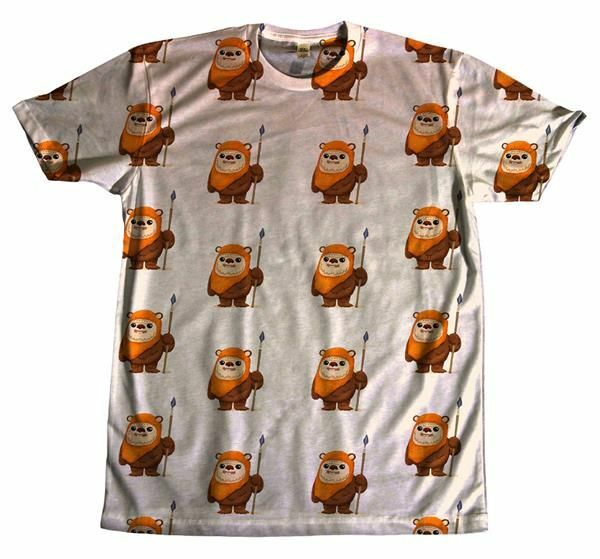 Luke Skywalker and Darth Vader aside, there were a plethora of other secondary, yet highly interesting characters in the Star Wars saga, and this Ewok tee is one way to pay tribute to one of those interesting side characters. 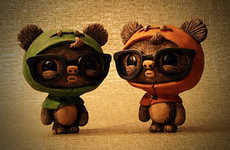 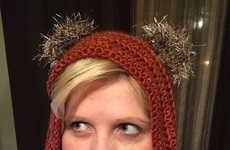 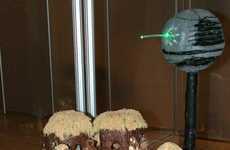 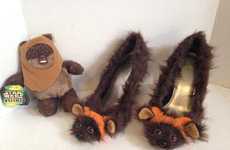 While they only spoke a foreign dialect created specifically created for the film, the Ewok characters, who look adorably similar to little bears, became a hit among fans with their sassy and fierce persona. 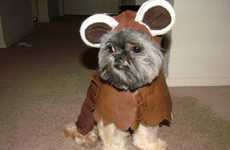 Instantly recognized simply by their small and furry exterior, Ewoks have become a character that people all over the world can recognize. 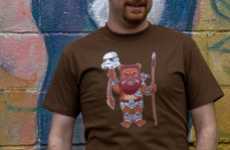 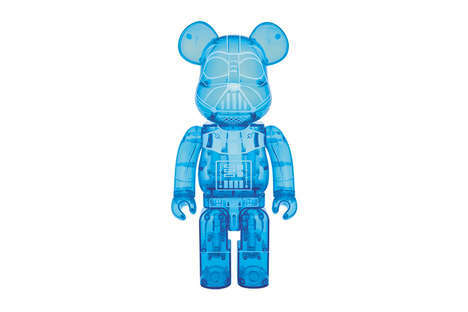 This Star Wars tee pays tribute to the Ewoks by showcasing them in miniature form all over the apparel piece. 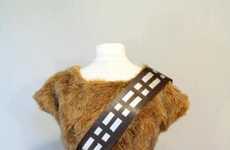 Showcasing the character in their signature head wrap and holding a spear, this tee is a great way to demonstrate your love for these fierce Star Wars characters.